PokerNews will be on the floor to cover the 2019 @AussieMillions start-to-finish! 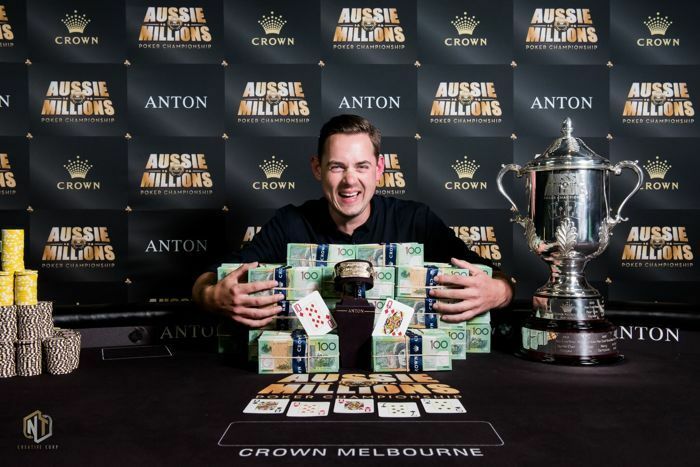 A month from now, the Aussie Millions will return to the vibrant Crown Casino in Melbourne, Australia for one of the world's most iconic poker festivals. Over the years, the "Vegas of the South" has become the Southern hemisphere's premier poker hotspot, attracting players from around the globe who are looking to combine poker with exploring Melbourne and Australia in the heart of summer. No fewer than 27 events are on tap in the jam-packed schedule, ranging in buy-ins from $1,150 all the way up to $100,000, as well as tons of affordably-priced satellites to give players a shot to play in the A$10,600 Aussie Millions Main Event. 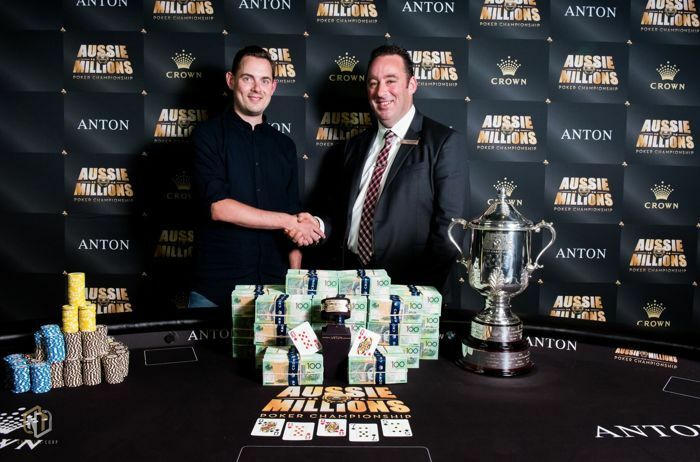 Billed by tournament organizers as "Asia-Pacific's longest-running poker tournament," the Aussie Millions' lustrous history spans over two decades. Last year, it was UK's Toby Lewis that cemented his poker legacy by winning the prestigious Main Event, following in the footsteps of Gus Hansen, Ami Barer, Ari Engel, and Alexander Kostrytsin who all have the Main Event trophy on their mantlepiece. Lewis topped a record-breaking 800-player field in 2018 to claim the first-place prize of A$1,458,198, beating players including Stefan Huber and Mike Del Vecchio at the final table. 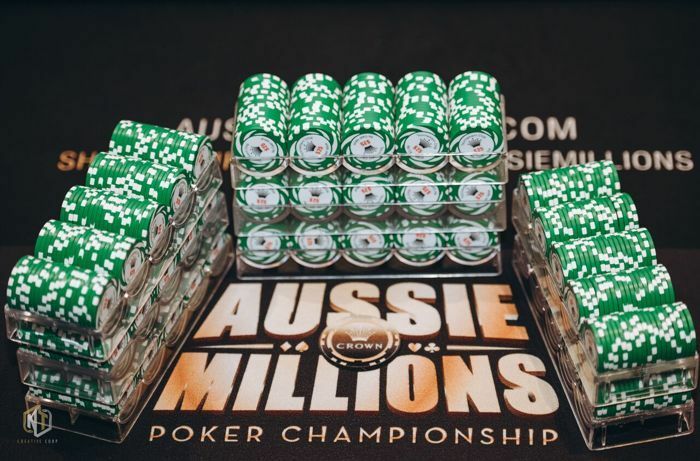 The 2019 Aussie Millions will be held over the course of three weeks and runs from Tuesday, January 15 until Monday, February 4, 2019. The A$1,150 Opening Event kicks things off in high gear right off the bat, as the A$1,000,000 guaranteed prize pool is sure to entice early action in Crown Casino. The opening event features five starting flights total to give players multiple shots at a six-figure first place prize. The highlight of the three-week festival is the A$10,600 Main Event, which will commence on Sunday, January 27 with the first of three starting flights. A winner will be crowned one week later on Sunday, February 3. Last year's edition set the record with 800 entrants, and all signs are pointing towards that field being topped this year. 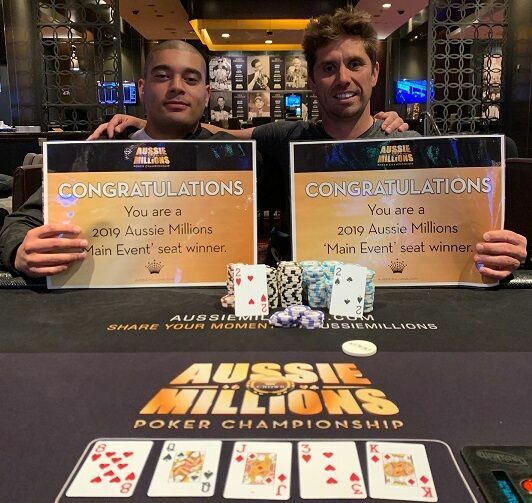 The Aussie Millions is fabled for its rich high roller history — such as Phil Ivey winning three $250K's — and four big buy-in events grace the 2019 schedule to continue that trend. The best of the best will duke it out in the $25K, $50K and $100K Challenge to contest for big prizes and glory. Michael Lim is the defending champion in the $100K Challenge, while Sam Greenwood won last year's ANTON Jewellery $50K Challenge. Greenwood's victory made headlines when Greenwood and the German pro's fired shots on Twitter after the event had concluded. A $25K PLO high roller will have something big lined up for four-card aficionados and will run on February 3-4 to close out the series with a bang. 2018 has been the year of the Big Blind ante and the Aussie Millions follows suit by incorporating the popular single ante structure into their events as well. It's not the only change that will take place at the 2019 edition. Joel Williams, Crown Poker's long-standing tournament director, had the following to say about the upcoming changes. "Despite last year achieving the largest Main Event field in Crown Melbourne’s history (800 players), we’re definitely not guilty of resting on our laurels. The 2019 Championship series sees numerous new initiatives implemented: the “Big Blind Ante” concept is utilised across eight Championship events (largely a “player-driven” initiative and previously untried at Aussie Millions), the Opening Event now has an additional Flight, there’s a new $25k PLO Event - as well as other tweaks and alterations throughout." The Aussie Millions is famous for running satellites all year long to give as many players as possible a shot to qualify for the $10,600 Main Event, including daily satellites since November. Last year, over half of the 800-player field won their seat via one of the many satellites, and the 2019 edition is shaping up to give even more a discounted shot at a seven-figure prize. Williams has been more than pleased with the numbers that have already shown up at the Crown casino over the past months. "Satellites have been running and players have already shown up in droves. Support for the 2019 series is also at an all-time high with local players already ensuring internal satellites currently sit almost 25% in front of this time last year. Given Crown Poker generated a whopping 422 Main Event seats in 2018 via local satellites, this is particularly pleasing and will almost certainly translate into another huge Main Event field in 2019." 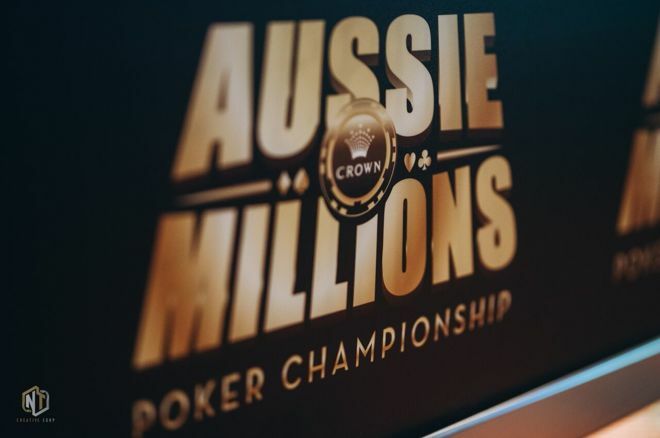 PokerNews will once again return for the 2019 Aussie Millions and will cover this classic series start-to-finish, with daily coverage live from the floor. The first week will consist of interviews, recaps, news flashes, and any other highlights coming from the Crown Casino in Melbourne. Traditional live reporting coverage will pick up from week two onwards, with live coverage from the Main Event, $25K Challenge, $50K Challenge, $100K Challenge, and the $25K Pot Limit Omaha. For more information about the Aussie Millions and how to register for events, visit the brand-new Crown Casino website.